This short review was originally written for The Oregonian in 2014. 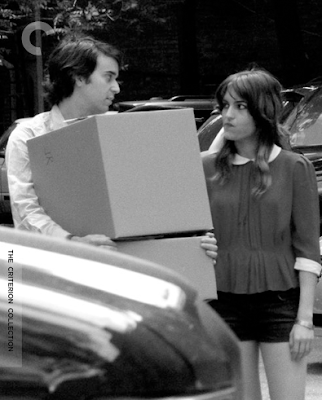 Taking their cue from Affleck and Damon, actors Alex Ross Perry and Carlen Altman wrote 2011's The Color Wheel as a starring vehicle for themselves. Alas, Matt and Ben they are not. Perry plays Colin, an uptight writer, and Altman is his sister, JR, a flighty actress. The pair undertakes a road trip to retrieve her stuff from her ex's place. The siblings bicker and whine the whole way, only to bond at a horrible party with former friends. It helps to have people worse than you around, apparently. 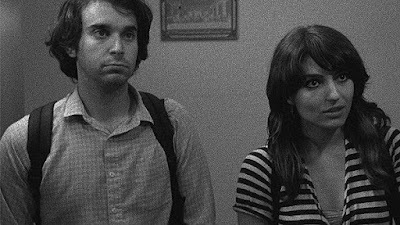 Shot in black-and-white and lacking polished performances, "The Color Wheel" hearkens back to indie faves like Jim Jarmusch's Stranger Than Paradise [review] and Kevin Smith's Clerks. Unlike those films, The Color Wheel turns up more annoyance than laughter.